As an only son with four of the most amazing sisters, Avigail, Penina, Libi and Adina, our family is especially excited about my upcoming bar mitzvah. I was born three days after a terrible tragedy that happened to a close friend of my fathers, Dr. David Yaakov Appelbaum ob"m. Dr. Appelbaum was murdered in a Jerusalem cafe with his righteous daughter, Naava, the night before her wedding. My parents decided to name me after Dr. Appelbaum and I am the first of many who bear his name. I learned a lot about the work of this remarkable man who devoted his entire life to the People of Israel and the Torah of Israel; therefore, when I see my father's tireless efforts to saving lives, and his organization - "United Hatzalah" â€“ which saved hundreds of thousands of people, I want to help him. I decided to give up all my Bar Mitzvah gifts (except for a PlayStation 4), and devote them to fulfill my dream: to dedicate an emergency ambulance and a Sefer Torah in memory of Dr. David Applebaum, and my two grandfathers who I miss so much, Zaidy Beer and Zaidy Heftler ob"m.
Please help me fulfill my dream, by contributing towards these two most special causes. Mazel Tov!! Thrilled to be part in such a huge mitzvah!! Keep up the amazing work!! 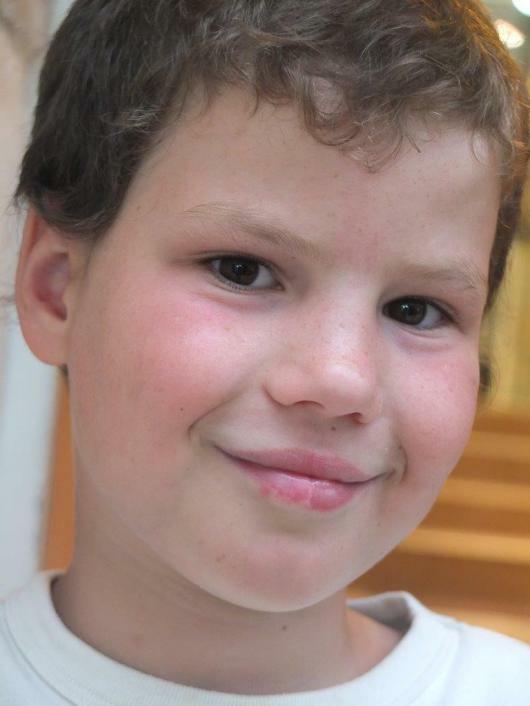 From the Ramsey Social Justice Foundation, Bob & Jenny Ramsey: We send our greatest congratulations to the wonderful young man and First Responder, Srulie Beer, for your Bar Mitzvah, with all of our love! Mazel Tov Srulie. You have made your entire family very proud. May you continue to give all of klal Yisroel nachas. Bracha, Hatzlacha, briut, v'kol tuv, ad meah v'esrim. Yosef & Edie Davis. Jet911 and all it's Pilots, Physicians, Paramedics and Flight Nurses world-wide salute you Srulie on behalf of your Bar Mitzvah. Your amazing father is a hero to all of us and his leadership has impacted us with every patient we fly daily. May you grow up in your fathers footsteps and may both of you keep making the world a better place! Mazel Tov! Eli Rowe and the Jet911 Flight Crew! ×œ×©×¨×•×œ×™ ×•×œ×ž×©×¤×—×” ×”×ž×“×”×™×ž×”, ×©×œ×•×—×” ×‘×¨×›×ª ×ž×–×œ ×˜×•×‘, ×‘×¨×™××•×ª, ×”×¦×œ×—×” ×•×”×’×©×ž×ª ×—×œ×•×ž×•×ª. ××™×Ÿ ×¡×¤×§ ×©×™×© ×œ×š ×ž×ž×™ ×œ×§×—×ª ×“×•×’×ž× ×‘×§×©×¨ ×œ×”×’×©×ž×ª ×—×œ×•×ž×•×ª. ×œ×¦×¢×¨×™, ×× ×™ ×œ× ××•×›×œ ×œ×”×’×™×¢ ×œ×ž×¡×™×‘×”, ×•×œ×™××•×¨ ×¢×“×™×™×Ÿ ×ž×˜×™×™×œ ×‘×¢×¨×‘×•×ª ×‘××¤×¨×™×§×” ( ×“×™×‘×¨× ×• ×¢×œ ×”×’×©×ž×ª ×—×œ×•×ž×•×ª). , ×œ×™××•×¨ ××©×›× ×–×™ ×•×“× ×™ ×©×ž×•××œ ×ž×–×œ ×˜×•×‘ . 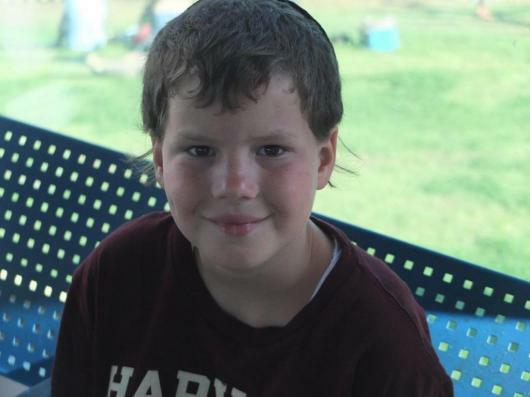 Srulie: Mazal Tov on your Bar Mitzvah and Kol HaKavod on such an amazing and generous effort! Mazal Tov Srulie. What a wonderful mitzvah you've chosen to do for your Bar Mitzvah project. Your generous gift to United Hatzalah will save so many lives. You've made your family & friends so very proud. You're truly a mensch! Srulie, Mazal Tov on your Bar Mitzvah and this amazing project. You are a very special young man with a big heart, and you are lucky to have such an incredible family and group of people that love and support you. Mazal Tov! 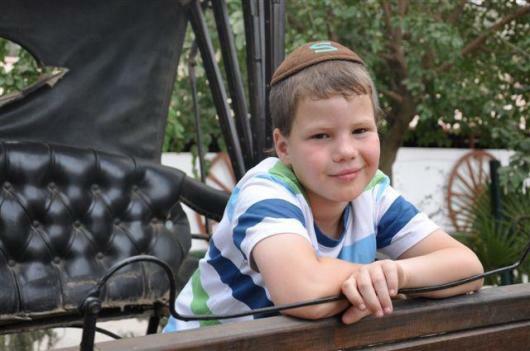 I am donating an ambucycle in honor of my son and in honor of you Srulie as part of your Bar Mitzvah campaign. Mazal Tov! Srulie I am very impressed with you and this special campaign you are doing in honor of your Bar Mitzvah. I met your father and I heard about your Mitzvah project and I am honored to support you in this campaign and in everything that you do. Dear Srulie, Mazal Tov on your becoming a Bar Mitzvah! You have big feet to follow with the Mom & Dad you were lucky enough to be Blessed with getting. We wish for you to also follow your passion, whatever it may be. Mazal Tov to you & your wonderful family! Mazal Tov Srulie and the entire Beer Family....incredible all you are doing to help save lives!!! huge mazaltov! we are looking to sharing your simcha with you all! thanks giti for being a great friend and help! he must take after his wonderful parents doing a wonderful thing like this! 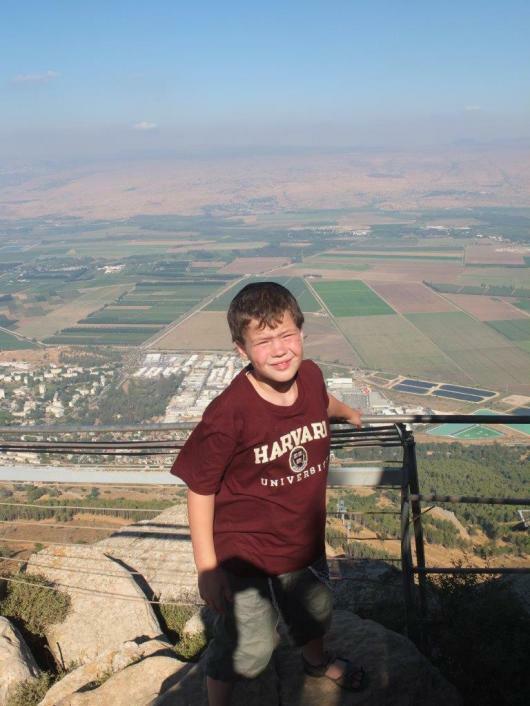 Mabrook on your upcoming Bar Mitzvah.May you continue to follow in the footsteps of your father and help save lives. ×©×¨×•×œ×™ ×”×™×§×¨. ×¨×™×’×©×ª ××•×ª×™ ×ž××•×“! ×”×ª×¨×•×ž×” ×©×œ×™ ××•×œ×™ ×§×˜× ×”, ×ž×§×•×•×” ×©×ª×¡×œ×— ×œ×™. ×× ×™ ×ž×©×¨×ª ×‘×¦×”"×œ, ×•×¨×¦×™×ª×™ ×œ×”×’×™×“ ×œ×š ×©×× ×™ ×•×”×™×—×™×“×” ×©×œ×™ (××ª ×©×ž×” ×× ×™ ×œ× ×™×›×•×œ ×œ×›×ª×•×‘ ×›××Ÿ) ×ž×•×¡×¨×™× ×œ×š ×ž×œ× ×ž×œ× ×ž×–×œ ×˜×•×‘ ×‘×”×¦×œ×—×” ×‘×—×™×™×! ×ž×§×•×•×™× ×©×ª×’×™×¢ ×œ×™×¢×“! ×•×©×ª×”× ×” ×ž×”×¡×•× ×™. Mazel Tov on your Bar Mitzvah! You should continue from success to success. Your giving nature is a blessing to Am Yisroel. Shana tova!! Andrew,Lee, Julian and Charlie Fine. Srulie, Shana Tova! to a great and noble cause- The Elefants. In honor of the great Mitzvah you are doing! 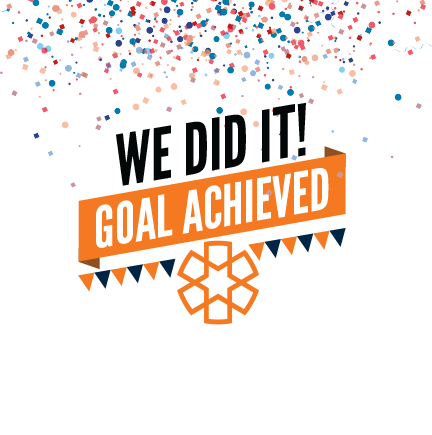 I am so happy to help you reach your goal. You are an amazing boy. Keep it up. If you are a mensch like your dad then you are some special. Mazel tov. Mazel tov and yashir koach. May the neshamas of Dr. Appelbaum and Nava have an aliyah. This donation is on behalf of the Klaff Family Foundation. Mazal tov! ×›×œ ×”×›×‘×•×“ ×•×ž×–×œ ×˜×•×‘ ×œ×š ×•×œ×›×œ ×ž×©×¤×—×ª×š! Hi Srulie, Mazal Tov on your Bar Mitzva. Your father and I go back all the way to when we were Bar Mitzva and I remember when he started chasing ambulances down Rechov Bayit Vegan, I thought he was nuts, little did I know that he would go on and save hundreds of lives and be part of the best organization in the world. I love him and you should follow in his footsteps. Mazal Tov Srulie, sorry we cannot make your Bar Mitzvah we will definitely make the wedding. Mazal Tov Srulie on you bar mitzvah and especially on this great mitzvah of saving lives! Dear Srulie, Mazal Tov! what an incredible project for you to take on for your BM. With parents as wonderful as yours, it is no surprise that your are such an amazing young man yourself. Continue doing mitzvot and Tikkun Olam! Mabrook on your BM Klal Yisrael is very proud of you and your family. 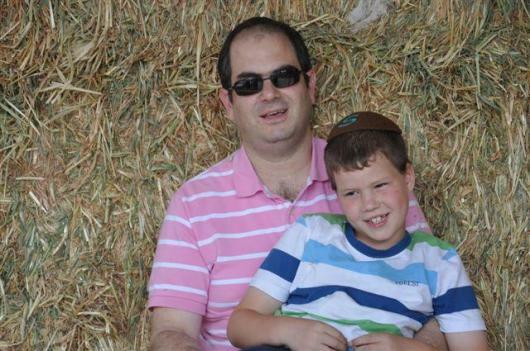 In memory of Mendel Balk, who very much loved your family and Hatzalah. Mazal Tov. Dear Srulie, Mazal Tov on your Bar Mitzvah! May Hashem always bless you, so you can continue on this beautiful path, you are an example to all of us! Kol HaKavod and Mazal tov! Mazel Tov! May you continue to be a source of Nachas to your wonderful parents and to Klal Yisroel! Mazal Tov on your upcoming bar mitzva. What a great way to celebrate! Dr. Applebaum contributed so much to so many. What a zechut for him and your grandfathers. Behatzlacha! Every good wish for a future filled with happiness and every success. Mazal Tov on your bar mitzvah U'b'hatzlaha! Mazal Tov on becoming a Bar Mitzvah! May you continue in the chessed of your parents and be blessed to perform many mitzvot and ma'asim tovim. Mazal Tov on your Bar Mitzvah. 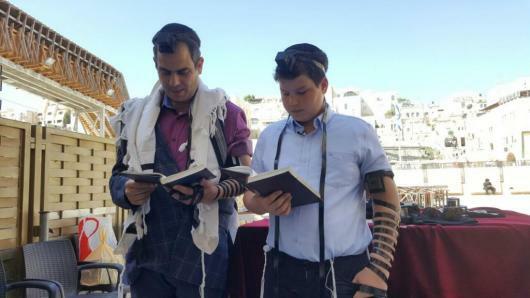 What a most fitting way to celebrate your Bar Mitzvah. May you continue to be a source of Nachas to your wonderful family whom I admire very much. David Z"L was my yedid, my closest friend. I had come to Israel to celebrate with him at his daughter's wedding instead I recited the 1st tehillim at his Levayah. I have a grandson named for David whose bar Mitzvah will be in 8 months. May both of you aspire to live up to the wonderful legacy he left behind. Congratulations on your barmitzvah. You are truly making a difference and your parents must be so proud. ×©×¨×•×œ×™×§ ××—×™ ×”×ž×ª×•×§ ×”×ž×§×¡×™×! !×ž××—×œ×ª ×œ×š ×”×ž×•×Ÿ ×”×ž×•×Ÿ ×ž×–×œ ×›×œ×›×š ×ž×ª×¨×’×©×ª ×©××—×©×œ×™ ×”×§×˜×Ÿ ×—×•×’×’ ×‘×¨ ×ž×¦×•×•×”!!!!! !×”× ×” 100 ×©×§×œ ×ž×ª×•×š ×”200 ×©×× ×™ ×—×™×™×‘×ª ×œ×š :-) ×ž×–×œ ×˜×•×‘! Srulie, Mazal Tov to you and your family. May your bar mitzvah mark the beginning of your own path of a life filled with family, community, Torah and acts of hessed. I'm sure you'll do great. Mazel tov and lots of love from Eric, Olivia and Ben! Mazal tov Srulie! Sorry we cannot attend. Kol Hakavod to you on your project. Nicole and Raanan Agus.